I've always had a fascination with abandoned places (see Bombay Beach, the North Shore Motel or the North Shore Yacht Club). 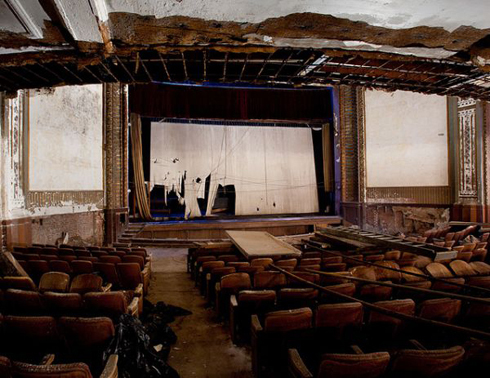 There's something romantic and mysterious about places that were once popular and thriving and then thinking about what must have happened that ultimately lead to their demise. 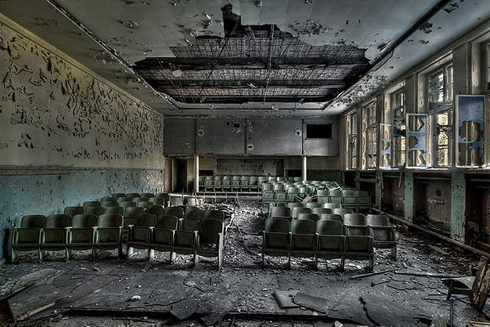 For a long time I've collected images of abandoned places simply because I was so intrigued by them. 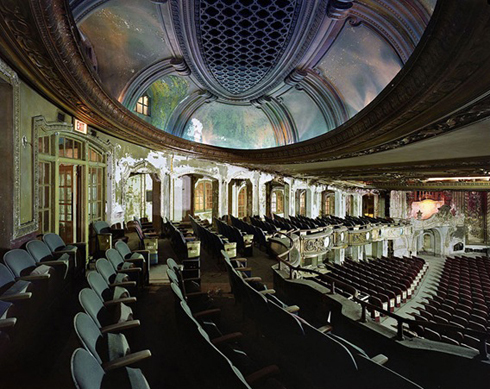 I can't take credit for any of these stunning photographs and I wish I could remember where they came from, but they're a collection of abandoned movie palaces, theatres, and vintage cinemas. 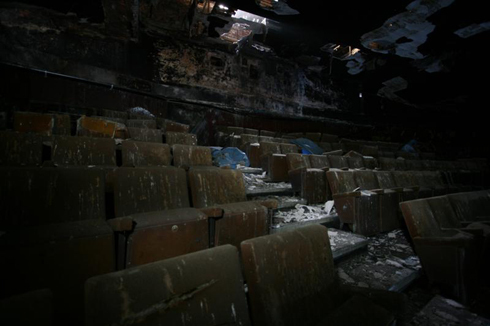 These pictures make me think about what films where shown there over the years, how many people must have sat in those seats, and about the reasons these amazing places were left to decay. 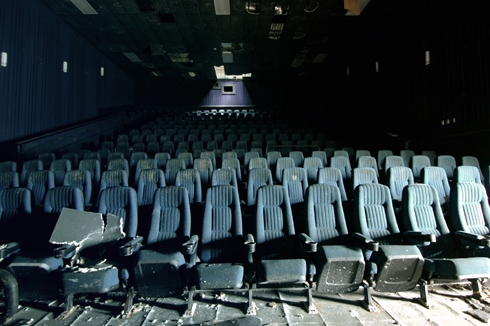 I wonder what these movie theatres look like now, and if any of them have been saved or simply gotten worse. 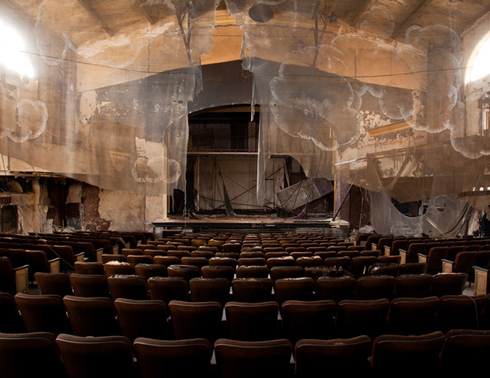 If you find abandoned locations as mesmerizing as I do you should check out the site, How to be a Retronaut. 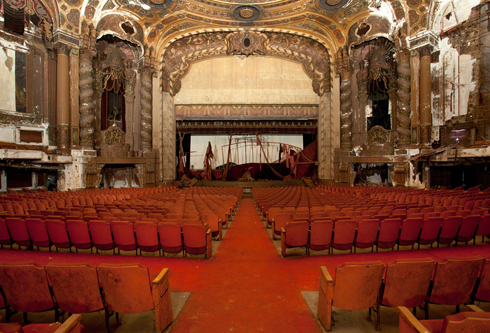 Their abandoned category features all kinds of forgotten locations and objects that will have you surfing for hours. 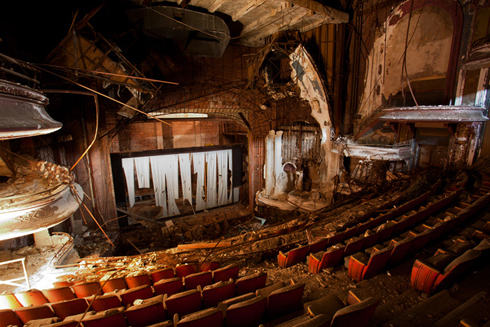 They even posted about an abandoned New York movie theatre, which I recognize one of these images from. It's all really cool and engrossing stuff.